Black Girls Run! | New Growth Hair Magazine | We capture the culture of urban barbershops and beauty salons. Toni Carey and Ashley Hicks-Rocha created Black Girls RUN to address the growing obesity epidemic in the African-American community. 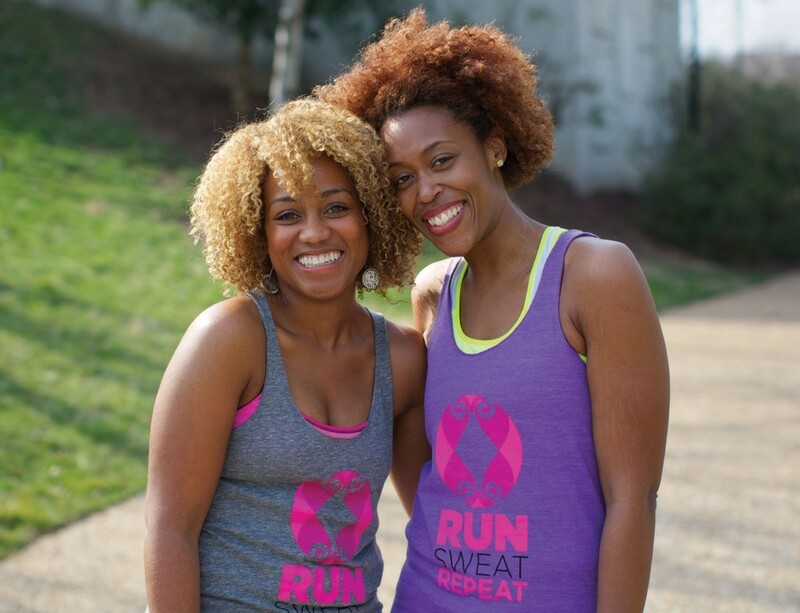 The mission of Black Girls RUN is to encourage African-American women to make fitness and healthy living a priority. According to the Centers for Disease Control, 80% of African-American women are overweight. Black Girls RUN is creating a movement to lower that percentage and subsequently, lower the number of women with chronic diseases associated with an unhealthy diet and a sedentary lifestyle. Below is my in-depth interview with Toni Carey about Black Girls RUN’s movement to encourage African American women to embrace a healthy lifestyle. Phillips: What inspired you to create Black Girls RUN? Cary: Most of my life I’ve been inactive; the pinnacle of my athletic career was my junior pro basketball experience in elementary school. Everything changed after I met Ashley in college. Our relationship started because we are members of the same sorority. She was the president of our chapter and I was the treasurer. As a result of us working together, we developed a really great friendship. Ashley was much more athletic than I because she played soccer in high school and also a little bit in college. One day, I called Ashley and she said, “Yeah, I just came in from a two mile run. I am running a few days a week and it’s really helping to lose weight.” I told Ashley that I just didn’t understand. Back then, when I thought of running, in my mind, I saw white men jogging in short shorts. But the more I saw the results of Ashley’s running, the more it peaked my interest and I decided to go out and try running myself. In 2007, I relocated to New Jersey for a job. I was completely alone. I had broken up with my boyfriend and decided that I wanted to really start a new chapter for my life. So I bought a pair of running shoes, became a vegetarian, and that’s how it started for me. Phillips: What suggestions do you have for African American women who are unwilling to do any type of exercise including running because of their hair? Cary: At this point, I think that is such a lame excuse which I don’t hear much anymore. But whenever I hear the hair excuse, I just roll my eyes. We need to define what is important: it’s either our health or our hair. No one is going to care about what your hair looks like when you are in a casket. It’s not going to matter how good your hair looks if your health is failing. My suggestion is to find a hair style that allows you to live a healthy lifestyle. Phillips: What advice do you have for women who want to lose winter weight they gained because of inactivity? Cary: I would say start slow. Just start carving out 15 to 20 minutes out of your day to walk around the block. You don’t have to start running; slowly build yourself up by setting aside time for a 15 minute walk and then just continue to challenge yourself. A 15 minute walk will turn into 30 minutes, 30 minute walks will turn into 45 minutes, and before you know it you are walking for an hour. There is a great program that we have at Black Girls RUN called, “Walk before You Run.” It is an eleven week program that literally takes you from walking to running your first 5K and that’s a great place to start. Phillips: Do you think women should run or exercise during their menstrual cycle? What effect does exercise have on the symptoms of a woman’s monthly cycle? Cary: Since this is an issue that affects me, I’ve been reading a lot about exercising during my cycle. The experts say it is great to be able to exercise through it but some months you just can’t. So I am a big fan of listening to your body. I think it is okay to give in and honor your cycle for the first day or two. Maybe you can’t run but try walking around the block. Some months you may be able to walk, while others you may be able to run, and other times you just might have to sit down. If you listen to your body, it will tell you what’s best for you. Phillips: What can runners do to protect their knees? Cary: That is such a huge issue with runners and that is probably one of the greatest myths about running. Running shoes are very important and your best defense against knee injuries. I recommend that you go to a specialty running store and have a gait analysis done. Then you can purchase the correct shoes for your body type and running style. My second piece of advice is to make sure that you stretch before and after you run. Running can be challenging for your body so it is important that you are preparing your body before you run. Also you need to allow your body time to recover. Phillips: Did you always have natural hair or did running result in your transition to natural hair? Cary: This is an interesting story. My mom is a hairstylist and I got a perm when I was four years old. I had a perm forever and then decided to go natural. My reason for going natural was related to my relocation. My mom had done my hair for about 25 years. When I moved to Virginia, I paid $100 every couple of weeks to get my hair done and my new stylist burned my scalp with relaxer chemicals. I was tired of paying money and getting chemical burns so this was my opportunity to do something different. So I did a big chop. I had a very tiny Afro and I have been natural ever since. It has not been an easy journey. There are days when I think it would be easier to just get a perm and then there are other days [I want to stay natural] like when the airline flight attendant said, “Your hair is large and in charge”. Phillips: Do you have anything else you want to share about Black Girls RUN? Cary: Running can be super intimidating, especially coming out to run with a running group. The first step is walking so that you can prepare yourself to become a runner. Next, find a local Black Girls RUN group in your area. 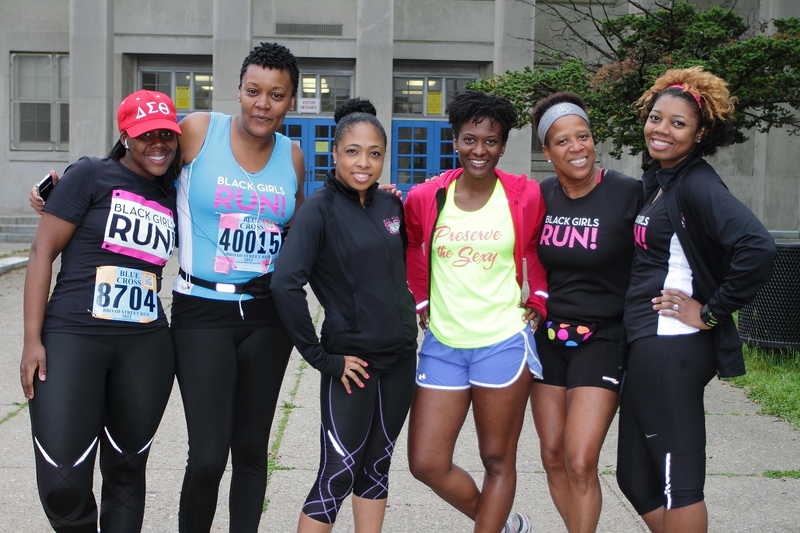 Joining Black Girls RUN allows you to meet your health and fitness goals while developing an amazing support system of women who want you to succeed. Many of us don’t have positive experiences or examples of black women supporting each other but many of our members say Black Girls RUN was their first experience meeting black women who truly supported their goals. I think the feeling of support is important to women because many of us spend so much time taking care of our families, children, and husbands that we don’t leave room to take care of ourselves. Black Girls RUN is an opportunity for women to make ourselves a priority and to feel supported by a community of like-minded women. 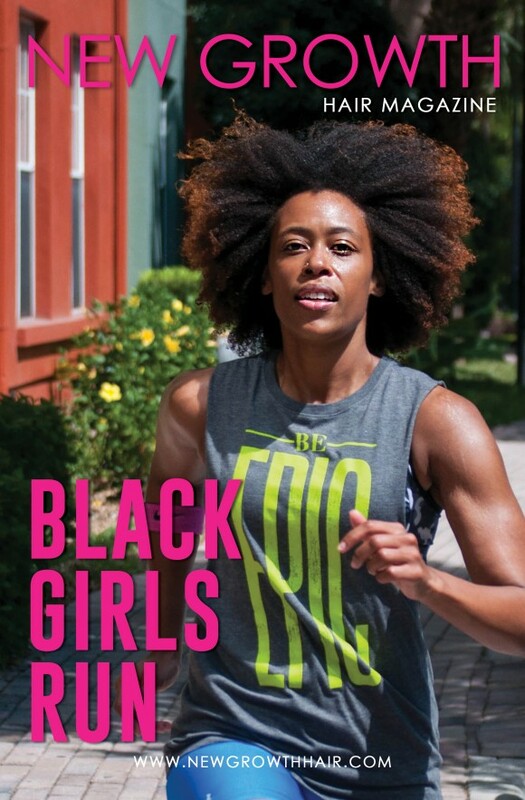 I encourage your readers to visit blackgirlsrun.com to find a local group and their running schedules. Please follow us on social media for your daily doses of inspiration.